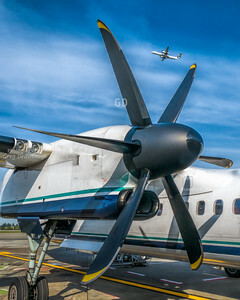 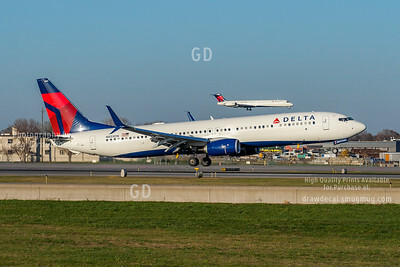 One of my favorite tricks is to catch two planes in the same frame with the rub that they must be similar or tell a story. 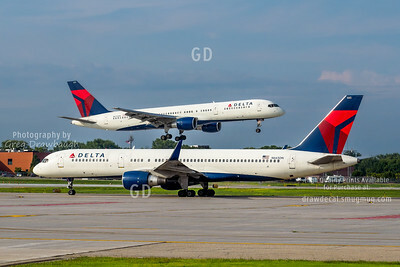 A pair of Delta MD90s at MSP. 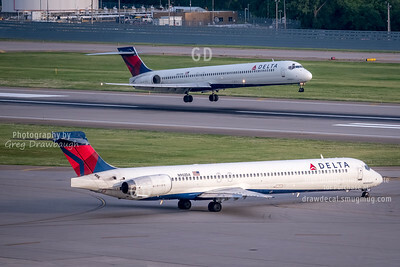 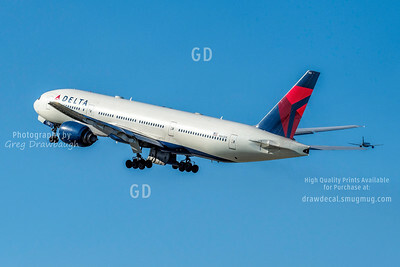 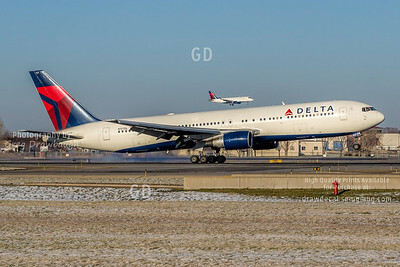 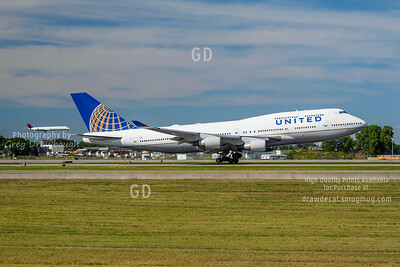 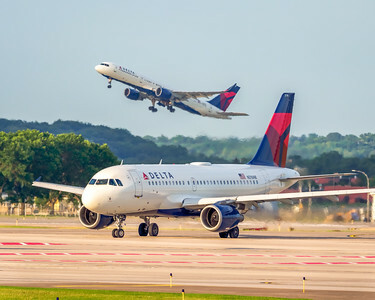 Delta is the largest user of the MD90. 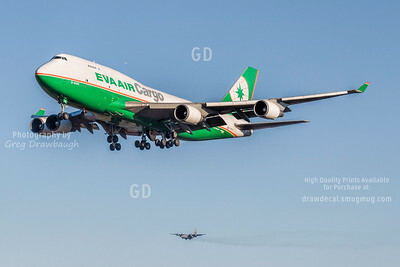 On a weather diversion from Chicago, Eva Air Cargo 747-400BCF B-16402 arrives from Anchorage while a MNANG C-130 lands on the parallel runway. 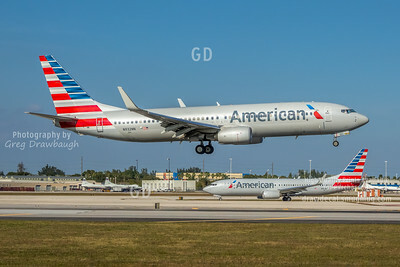 One of my favorite games at Ft Lauderdale is to get two for one shots. 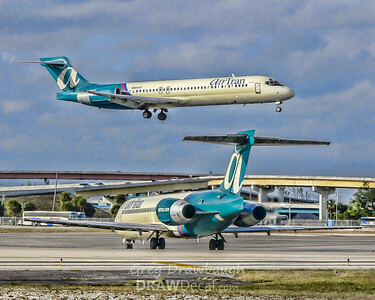 Of course now airTran merged into Southwest and the 717s are now operated by Delta. 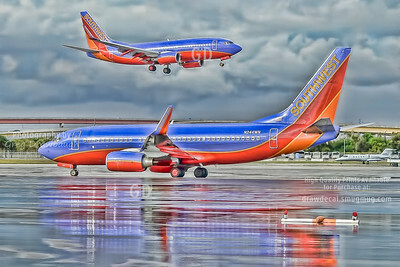 A different look for a pair of Southwest 737-700s at Ft Lauderdale from 2008. 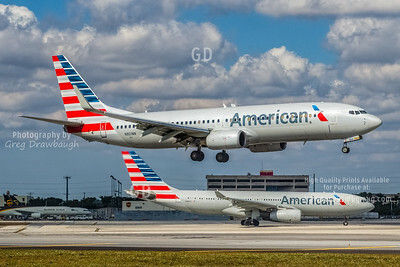 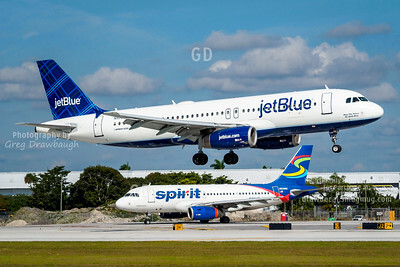 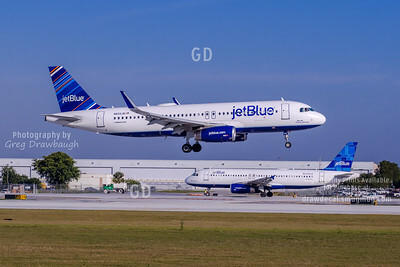 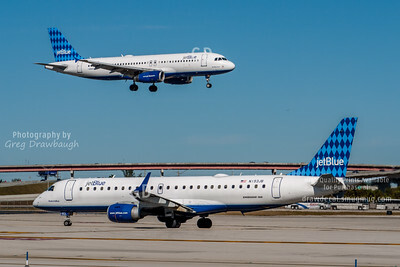 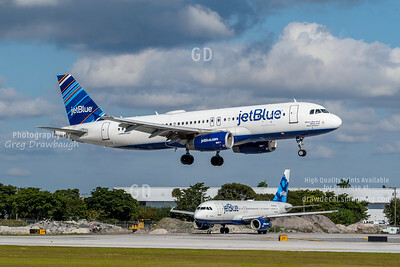 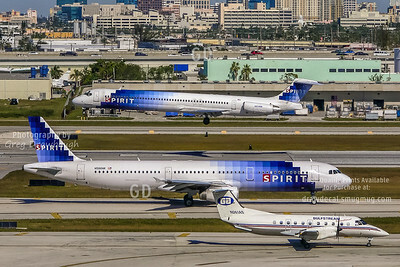 In a 2 for 1 shot at Ft Lauderdale, jetBlue A320 N508JB in the new Tartan tail design lands as Spirit A319 N505NK waits its turn to take off.